Accidents happens when we’re not aware. In this episode Cara chats about how not being mindful or aware causes mishaps and accidents. She shares her recent experience walking into a wall and explains the five levels of awareness and how they help you distinguish when you’re aware and engaged and when you’re not aware or distracted. 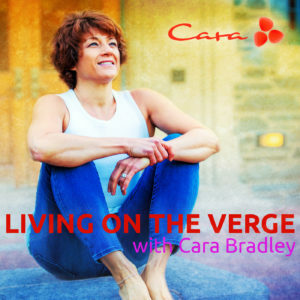 Cara also talks about how when you’re aware that you’re aware, you glimpse your direct experience in this moment. This is living on the verge — your full participation in this moment when you feel awake and fully alive. Also check out the On The Verge mobile app on iTunes and Google Play. PrevPrevious#10: No Speed. No Struggle.